Stanley and Katrina: Letter Writing Printables. Kid Lit Printables added two new free printables to the collection of available worksheets for our book, this week. 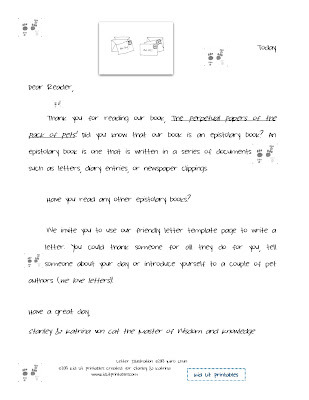 The first is a letter from the pet authors, Stanley and Katrina, to their readers explaining that their book is in the epistolary format. 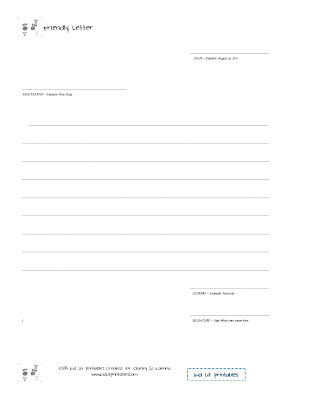 The second printable is a free friendly letter template to be used to write a letter to a person/pet of your choice. Click here to view all available free printables for our book.